InterNations Linz - Bring your Partner or Find your Partner! We are very happy to invite you to our February event! We wanted to make this event a bit special as it will happen around Valentines time. Do not hesitate to bring your partner. 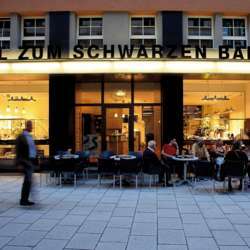 Come and mix and mingle with many expats and global minds at the Hotel Zum Schwarzen Bären Bar at Herrenstrasse! Enjoy a few glasses and chat away with your fellow InterNations members! From 19:30 on we will be at the ground floor. You can enjoy small snacks as well as drinks of your choice. Please don’t forget to register for this event by clicking the Attend button and feel free to spread the word among your friends, co-workers and other global minds and invite them to sign up for InterNations, too!